Chalcopyrite-sphalerite. Photo by James St. John, Flickr. Junior explorer Megastar Development (TSXV: MDV) announced today that it has signed a Definitive Option Agreement with Paradex, a private American mining exploration company, and Minera Zalamera, a private Mexican mining exploration company, to acquire 100% interest in the mineral concessions known as the Rama de Oro project located in the state of Oaxaca, southern Mexico. 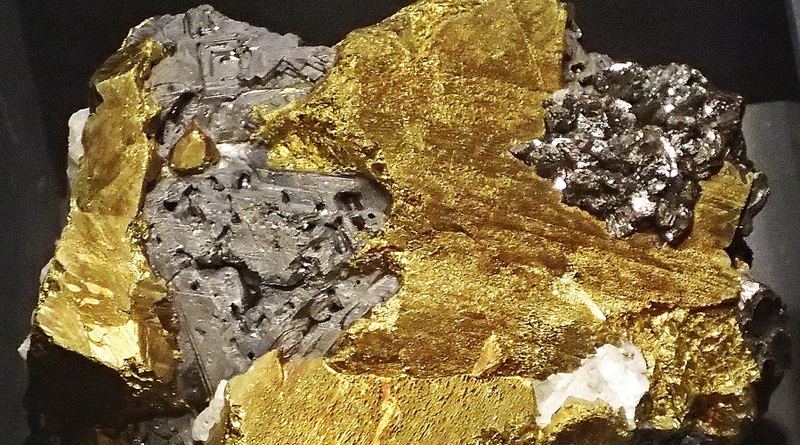 In a press release, Megastar CEO, Dusan Berka, explained that the property sits on the trend between two producing mines, the Switchback mine owned by Gold Resource Corp. to the north and the San Jose mine owned by Fortuna Silver Mines to the south. The project also borders the La Calavera and Cobre Grande copper-gold porphyry-skarn projects in east-central Oaxaca. “The project is hosted by caldera-related Tertiary volcanic rocks (e.g. El Aguila model) crosscut by hydrothermal veining inferred to be related to late-stage granitic magmatism locally exposed as dikes and underlying the adjacent 'Nueve Puntos' mountain. Similar intrusions are associated with a 43-101 inferred resource of 49.8 MT containing 0.5% Cu, 0.04% Mo, 0.22% Zn and 12.9 g/t Ag at the Cobre Grande skarn system, which lies 6 km to the east, along the same structural trend,” the miner’s statement reads. The Vancouver-based company also announced that, in connection with the option agreement, the President of Paradex and Minera Zalamera, David Jones, will be appointed to the Board of Directors of Megastar and will act as a technical advisor in relation to exploration activities in the Latin American country. Jones is dubbed “the foremost expert in the Guerrero Gold Belt,” given that he was the geologist behind the discovery of the Los Filos gold deposit in 1995 (Teck), was the leader of the technical team that won the bid for the Morelos reserve in 1998 (El Limon-Guajes deposits) and served as the principal geologic advisor in the start-up of Torex Gold Resources.